Unseen | Sara Hagerty | Audiobook Download - Christian audiobooks. Try us free. Every heart longs to be seen and understood. Yet most of our lives is unwitnessed. We spend our days working, driving, parenting. We sometimes spend whole seasons feeling unnoticed and unappreciated. So how do we find contentment when we feel so hidden? 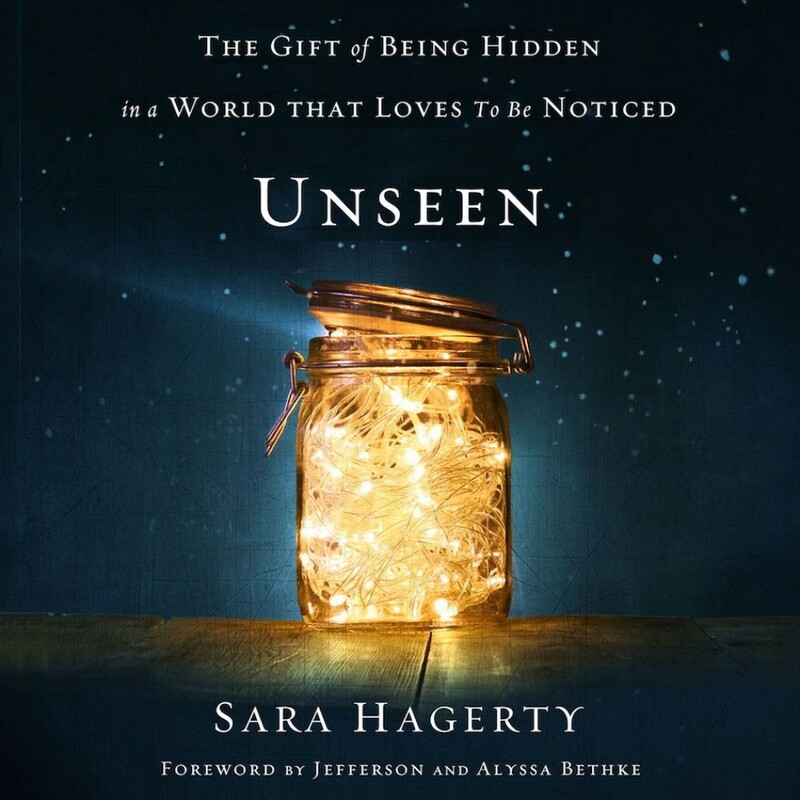 In Unseen, Sara Hagerty suggests that this is exactly what God intended. He is the only One who truly knows us. He is the only One who understands the value of the unseen in our lives. When this truth seeps into our souls, we realize that only when we hide ourselves in God can we give ourselves to others in true freedom—and know the joy of a deeper relationship with the God who sees us. Through an eloquent exploration of both personal and biblical story, Hagerty calls us to offer every unseen minute of our lives to God. God is in the secret places of our lives that no one else witnesses. But we’ve not been relegated to these places. We’ve been invited.